As I get ready to announce our new schedule for 2016 (tomorrow! ), I first wanted to take a moment and reflect on all that we (all the artists/students who work here) have accomplished in 2015. Sometimes it feels like there’s never enough time to do everything we want to do, but looking back I realize we actually did a lot! As I scan through photos from this last year, I am reminded of all the great classes, workshops, and events; numerous mosaic workshops, two figure sculpture weekends, classes in pysanky , watercolor, leaf casting, photography, and calligraphy. Also, summer mini camps for kids, student front gallery shows, opening parties, the Rappcats mural project, the RAAC Art Tour (including Candace Clough’s cat couch -an event in and of itself! ), Tom’s weekly painting and drawing sessions, kids’ workshops and lessons. Each of these events and happenings contain a wealth of great moments of discovery (and of course, a little frustration at times too, it goes with the territory). It is truly amazing though to think about how much creativity has flowed through this place! Best of all is the sense of community that has developed while we work and create together-aaaand now I am going to get emotional. Tom and I love having the studio here in Flint Hill, and we are so grateful for all of you, who come and participate, making it the wonderful place that it is: a place to work, to learn, to make and share our art. So, here we are, New Year’s Eve 2015. Cheers to you and yours. We should drink a toast (alcoholic or otherwise) to all of our future creative endeavors. Let’s go 2016. New Class Listings are Up and Ready! 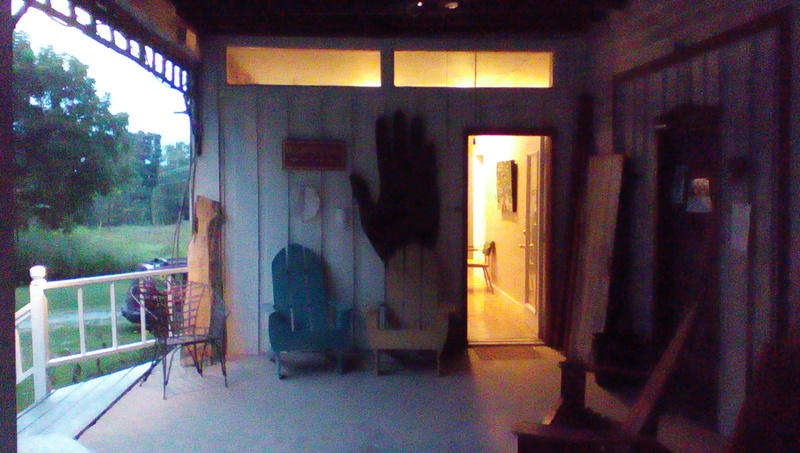 Early evening snapshot of the studio during the Friday painting class. We’re excited for this season’s schedule of classes and workshops coming up in September and October. Always looking for new classes to offer, we have two completely new workshops happening at the studio this September. Intro to Photography with Cameron Harrington on September 19th. I first saw Cameron’s work in the Rappahannock News and was so impressed with the beautiful black and while photograph that was printed. As it turned out Cameron was looking for a chance to get involved with teaching so it was a no brainer to invite her to do a class at The Studio School. Snapping photos, be it with our smart phone or digital camera, has become so easy and common these days, but if you are interested in going a little deeper into the art of photography, being able to think more about composition, lighting, and some of the technical aspects, this is a great class for you. Another new class being offered this fall is Intro to Calligraphy (Flexible Pen). Ken Edwards lives locally, and is a chemist by profession, but has a passion for calligraphy and is extremely knowledgeable. Calligraphy can be a useful, as well as a very rewarding art form, and this class will give you all the information about the tools and skills you will need to practice. Of course, there is more. On September 12th we have Candace Clough offering another Glass on Glass Mosaic Class, this time using a lantern as the base. I can’t wait to see the results, all lit up from inside! Later, starting off the first weekend of October, Charles ” Flick” Flickinger returns for another workshop doing figurative sculpture. Animal Portraits in Mosaic is on October 10th, Pysanky with Nina Shepardson on October 25th, as well as the usual painting classes with Tom Mullany are continuing on Thursday and Friday evenings. And more variety of classes for children this fall with children’s classes after school, as well as private lessons being available. Lot’s to choose from this season! Check out what’s available, and sign up for a class, or two! Mosaic Works Show on view. Registration open for fall mosaic classes. As the summer winds down and thoughts turn to fall ( and all things pumpkin flavored), we thought it would be fun to put together a show of some of the mosaic artwork that has been inspired and/or completed during the mosaic workshops here at The Studio School. Mosaic Works is now hanging in the studio gallery space featuring the work of teacher Candace Clough and her students, Jacque Towner, Patricia Reid, Renee Nolan, Sue Gabbay, Brier Clough, Sara Moore, Kim McKiernan, and Polly Scoville. It is great to see all these wonderful pieces hanging together. Many techniques are represented: animal portraits, leaf mosaics, mosaics using pottery shards, and mosaics using the glass on glass technique. If you are in the area, please come by and see the show! I’ll be in the studio later today (Saturday, August 8) from 3pm-5pm, and again Monday, August 10th, 10am-noon. We are so lucky to have Candace Clough as an instructor. She has been teaching mosaic with us for about two years now and her classes are among our most popular. 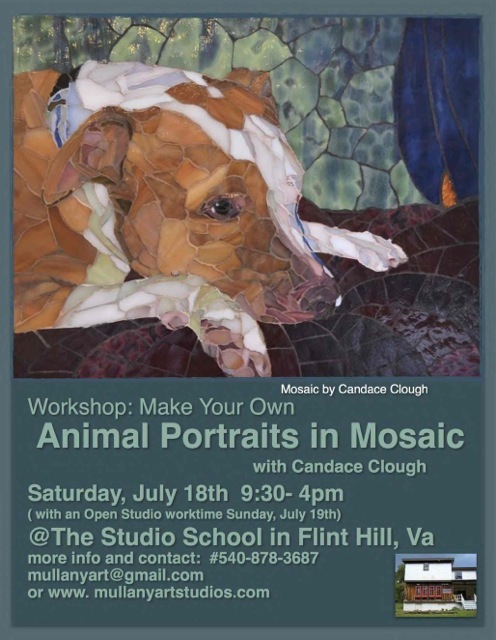 We will offer several of her workshops this fall including a Glass on Glass Workshop on Saturday, September 12th, an Animal Portraiture in Mosaic on October 10th (Columbus Day weekend), and in November she will be offering a Groutless Mosaic Ornament Workshop on the 14th. Hope you can join us for one of these! Check out the Mosaic Workshop page here. Summer finally feels in full swing here at the studio. We’ve hosted several kid’s art mini camps already including the first session of work days on the Rappcats Mural Project. Last month we had a wonderful Leaf Casting Workshop with Candace Clough, and we held our 2nd Creativity Jam/Open Studio on June 29th. Of course, Tom’s painting classes continue through the summer on Thursday and Friday nights, and I continue to offer private lessons to children on request. No worries, there’s still time to get your art on and creativity flowing before the rush of fall begins! Some important dates are coming up. July 14th -15th -16th, 9am-11:30 Work continues on the Rappcats mural. 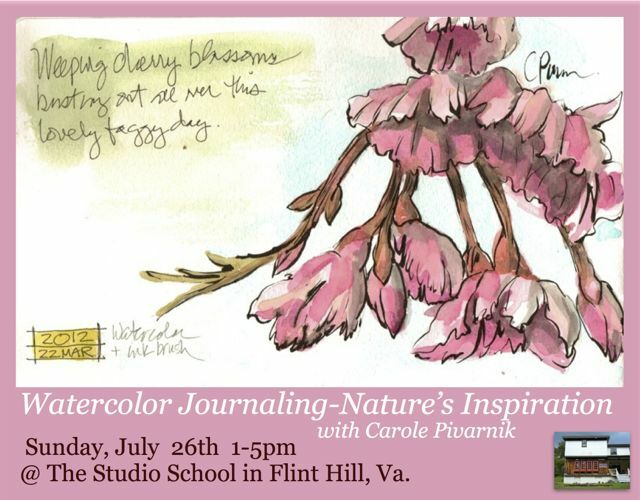 Ages 8-12 July 18th- Animal Portraits in Mosaic with Candace Clough, 9:30-4pm July 21st- Art Mini Camp 9am-noon July 23rd- Art Mini Camp 9am-noon July 26th- Watercolor Journaling-Nature’s Inspiration with Carole Pivarnik, 1pm-5pm Message me here if you have any questions or want to sign up for a class. A Fall schedule is in the works. We are adding some wonderful classes and hope to have our most varied and robust schedule yet! This weekend on Saturday, May 9th, we are hosting the studio’s first ever “Creativity Jam”! Like an open house, all are invited, but everyone is encouraged to stay awhile and mess around and get creative with some studio provided art materials or bring your own project and work here. Or meet up with friends and work on something together. Coloring, knitting, collaging, stencil making, whatever floats your boat. We’ll have music playing, and possibly even some live music. We’re also going to try out our new digital projector and project some videos on a large wall, maybe even on an outside wall? We’re expecting a range of ages, from 14 on up. Doors open at 7:30. $8 covers any and all the amount of time you want to stay and be here. Some drinks and snacks will be provided as well. Hope to see you here! Lots of great workshops coming soon! Mosaic, watercolor, landscape painting, bookmaking, lots of kid’s classes for this summer are planned and more will be added soon. See a list here. Let us know what’s your interest! Suggestions for other classes are welcome! Hello! Although the blog part of this website has been quiet lately, our studio has been continually active! Throughout these last few cold and snowy months, we’ve been firing up the wood stove, and warming up the studio. Students have been painting, drawing, sculpting, watercoloring, doing mosaic, and all manner of other creative endeavors. New classes will be announced soon, along with summer camps, and workshops. I will be posting more often in this spot, and will keep you informed best I can!